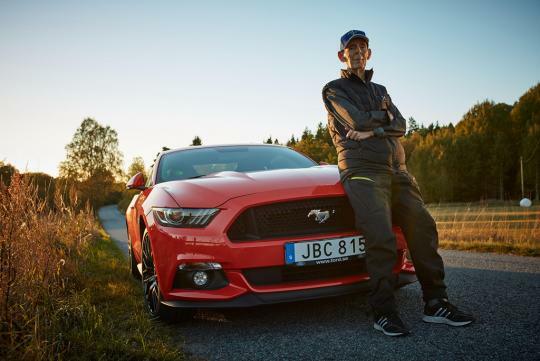 Lennart Ribring at the age of 97-year old, has just bought a brand new Ford Mustang V8 in Sweden. He is likely to be the oldest owner of the new Mustang. Back in the 1960s, Lennart was one of the first people in Sweden to buy an original Ford Mustang and 50 years later, he buys himself a brand new one with the 5.0 V8 engine. The retired businessman who still works part-time as an accountant, taught his son, Michael, how to drive in their previous Mustang. Ah now this is aging gracefully. but report never say how fast he drives the beast! And he got a 6MT Mustang 5.0GT wor. Real men drives stick shift, not AT and certainly not sissy CVT. Big salute to this guy. YOLO!